The job of any psychologist should never be taken lightly—especially so for those working in schools. Youth mental health is all too often neglected, which leads not only to poor academic performance, but lowered quality of life and happiness in children and teenagers alike. The main goal of any educational professional is to help today’s youth become responsible, kind, and productive citizens. Ensuring each student has adequate mental health care is a major part of this goal, and will ultimately be your job as a future school psychologist. Before you start your career, however, you will have to prove your competency by earning a passing score on the Praxis II Psychologist exam. 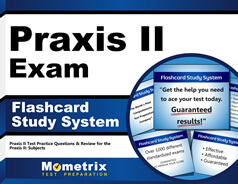 To ensure you’re able to study to your fullest potential, the Mometrix Test Preparation team has written a Praxis II School Psychologist #5402 practice test. You can use this free resource to familiarize yourself with the full exam’s formatting and contents. 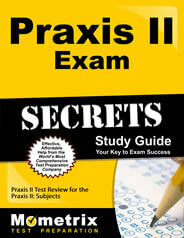 For best results, feel free to use this Praxis II school psychologist practice test alongside our Psychologist study guide.